Now, if you are a fan of this product, you know the formula here. 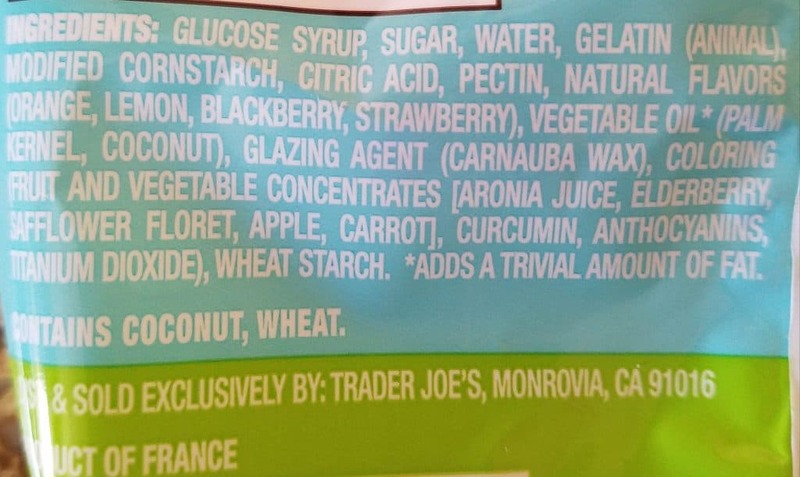 These are Trader Joe’s gummies made with a sweetened liquid center, much like a Gusher but with more gummy to it. These aren’t too different from the Penguin Gummy Tummies available year round. I picked up a bag a couple of days ago thinking that this was pretty much the same product. In some respects it is. 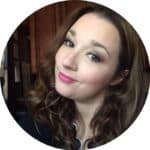 But when I compared it to an older review certain things became obvious: this product has changed since the last time I tried it. 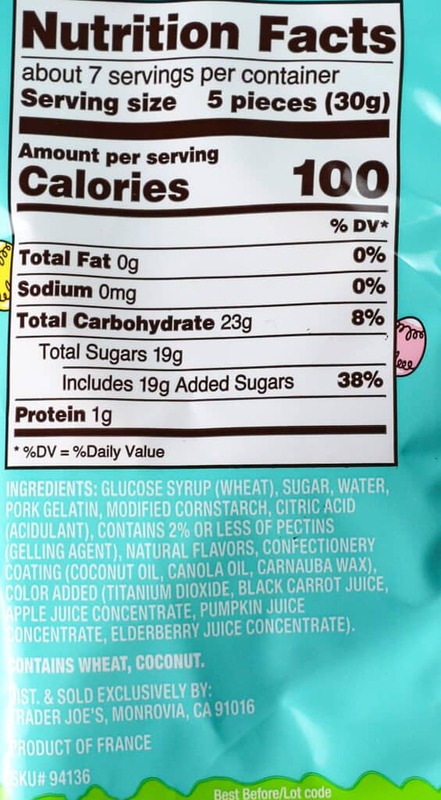 First off, I noticed the “Fat Free” label has disappeared. It still seems to be fat-free. But when I turned it over, this has 40 fewer calories per serving, but that is actually a touch misleading. The serving size has dropped from 7 pieces down to 5. And gone are the references to the orange, lemon, strawberry, and blackberry flavors. 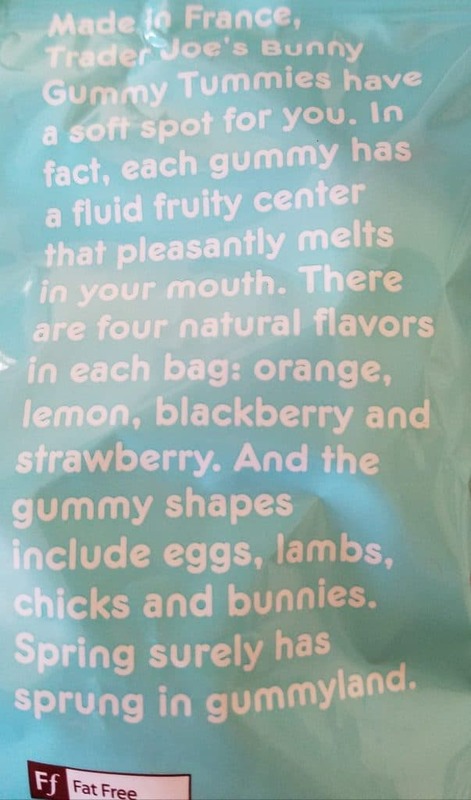 Each of the gummies pretty much taste the same as one another despite what the packaging says. They are no longer as sweet as they once were. These are far more tart and acidic. So if you are expecting a sweet on sweet taste like previous years, you might be in for a shock. You might even pucker a bit. But overall, this is still a pretty good product even if the packaging looks nearly identical. If you are looking for a snack, this isn’t a bad one to reach for. It’s still empty calories but a fun item to eat. My husband finished the bag for me because he like the contrasting sweet and tart flavors. One thing hasn’t changed, this is still priced at $1.99. For $1.99 you are getting a confection that is a hybrid between two better known products. This will remind you of a gummy bear (or other animal) and a Fruit Gushers. If you are unfamiliar with the Gushers candies, it’s got a candy gel in the middle around a fruit flavored outside. Thus, when you bite into them, they gush the gel. Like the Gummy Tummy Penguins, you might have a hard time figuring out what the shape is supposed to be. 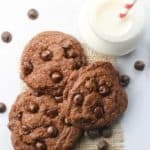 After you bite into one it won’t matter. Color wise, these are more opaque in their appearance and their “tummy” is harder to see. Nonetheless, you still have a tasty variety of candies in front of you that are well made. 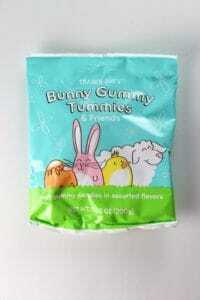 These seem to be more gummy than tummy though. In other words, there isn’t as much of the filling that you might be used to. 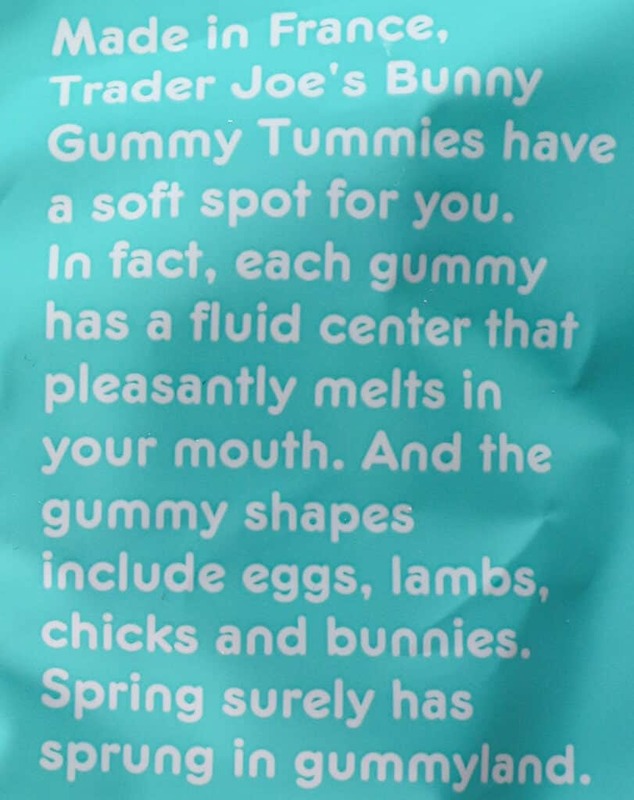 The shapes here are all different and some don’t allow for much of that “tummy.” The gummies however, taste like the flavor in the middle which more than makes up for the “tummy.” If you tried the Gummy Tummy Penguins, those gummies were all uniform in their gummy flavor, but not the tummies. 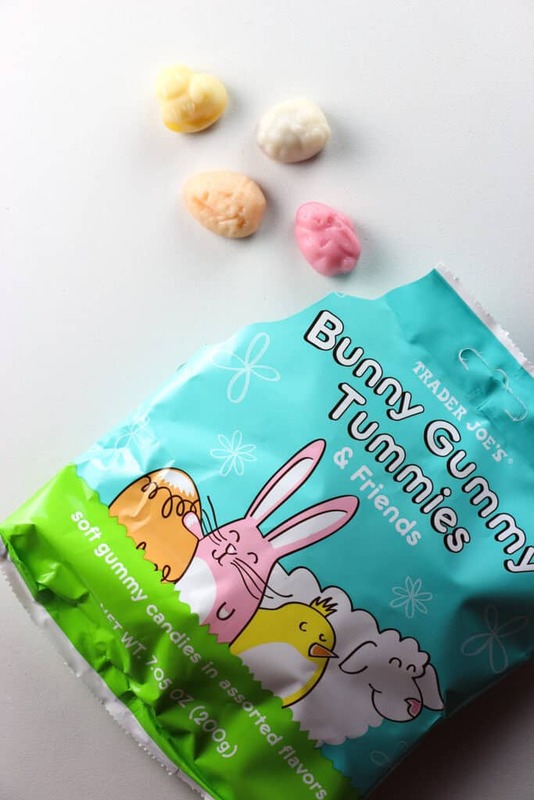 Trader Joe’s Bunny Gummy Tummies are lovely shades of pastel for the spring season and I’m sure these would make a great snack or Easter basket treat. 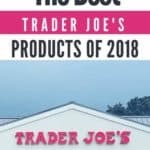 I enjoyed them and I’d repurchase. If you enjoyed the original flavors, you’ll probably enjoy these. 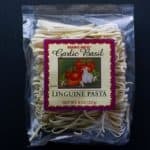 Just won’t wait to try these as they are likely seasonal. Left to right: A pink rabbit, a sheep, an orange egg, and a yellow duck. Would I buy this again? Yes. I’m sure these are seasonal and that’s a shame. 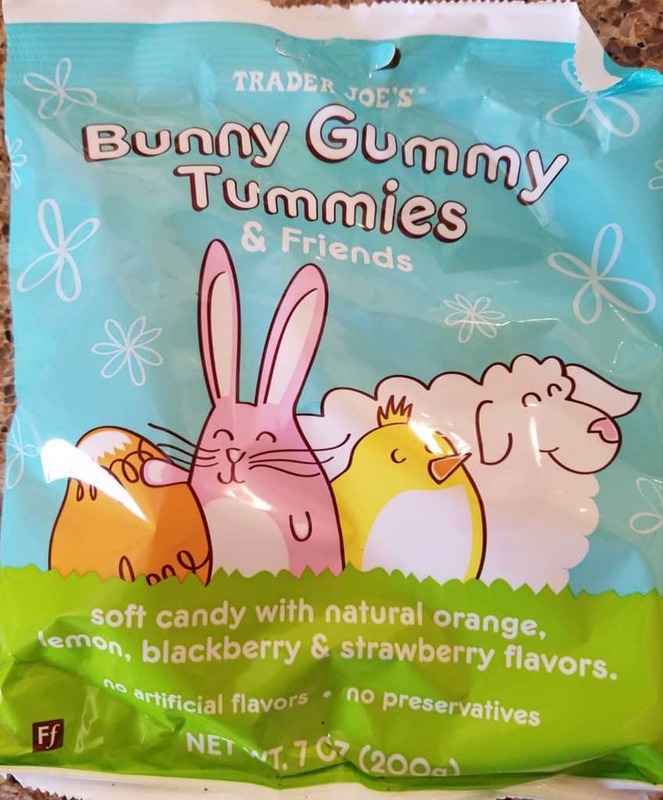 I enjoy Trader Joe’s Gummy Tummies Penguins so this was a nice change in flavors. I hope to pick up a few more bags before they disappear for the season. Product Description: Trader Joe's Bunny Gummy Tummies have made their seasonal return to shelves with four shapes of gummies with a sweetened filling. 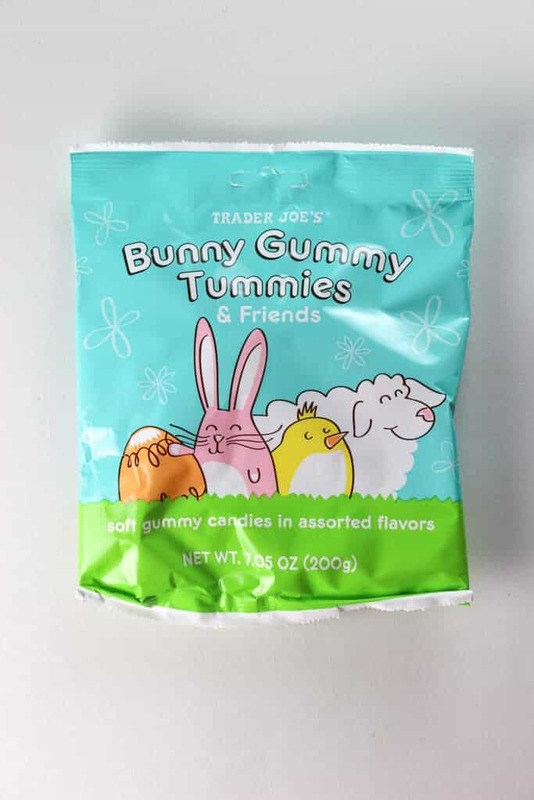 Trader Joe’s Bunny Gummy Tummies have made a return to store shelves in time for the Easter holiday, but won’t be on shelves for very long. 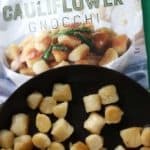 Smaller serving size makes this appear to have fewer calories than in previous years. Oh if these are tart-ish I will definitely get a bag. 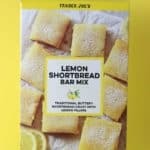 These are not something I would eat a lot of at a sitting but I love me some sweet and tart every now and then especially if it’s more tart than sweet. Hey Dag! Yup, this shifted from what I remembered them from previous years. I would be curious to hear your thoughts. If you like the gummies they normally have you’ll probably like this too. Just they have the extra liquid in the center. Thanks so much for stopping by! Brenda– I just bought these tonight and had my first two. I love them! I love the tart and I love the gush of the liquid center. I will definitely be buying more bags. Hey Dag! Glad to hear you liked them and thanks for getting back to me so quickly! Enjoy them.